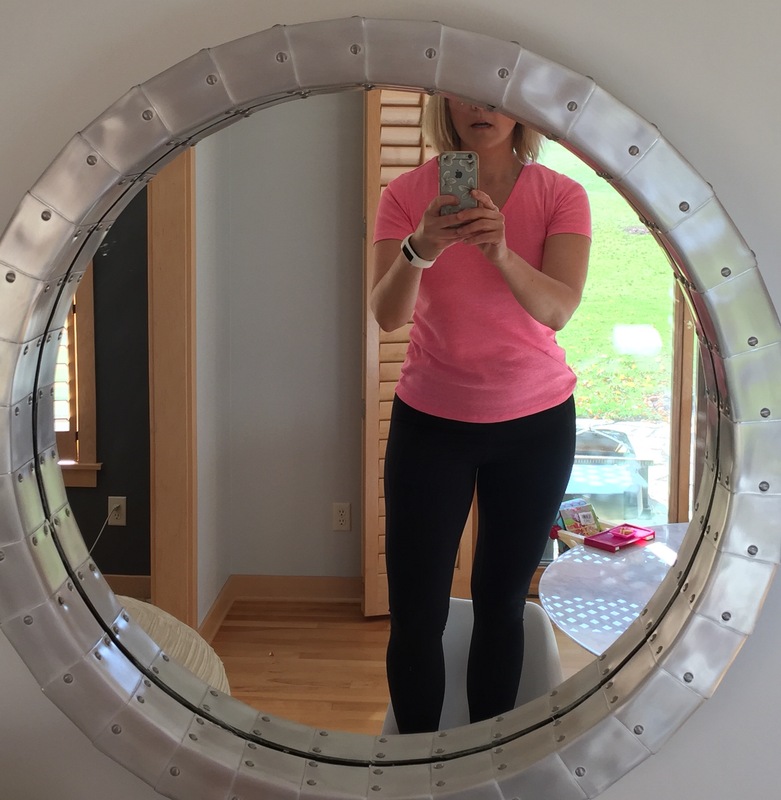 After an ad for free leggings popped up on my Facebook feed multiple times, I became curious. 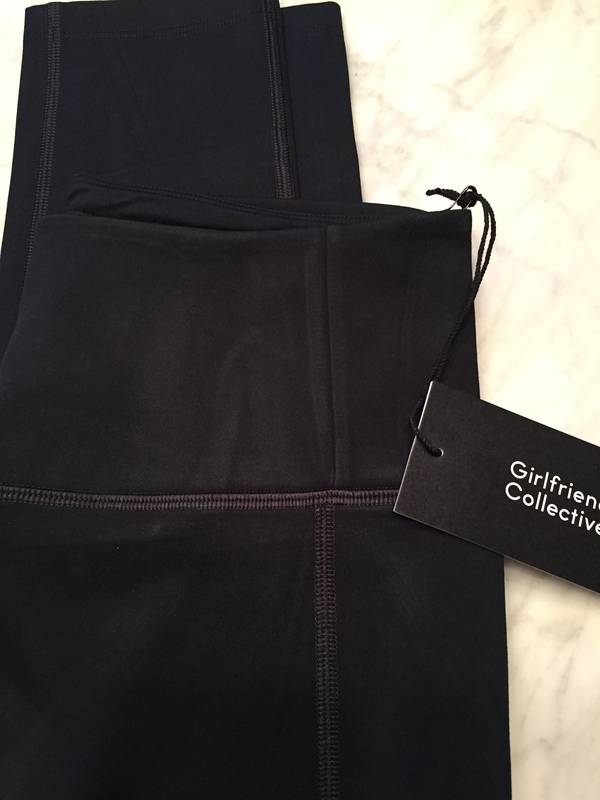 Girlfriend Collective’s offer promises that these ecofriendly, ethically produced leggings will become your favorites. To prove that, they’ve been offering them for “free.” I put that in quotes because you *do* have to pay for shipping, which is approximately $20 and charged upfront. I ordered my leggings about six weeks ago and got them last week. They arrived in an oversized shipping envelope. There were two thick tags attached. 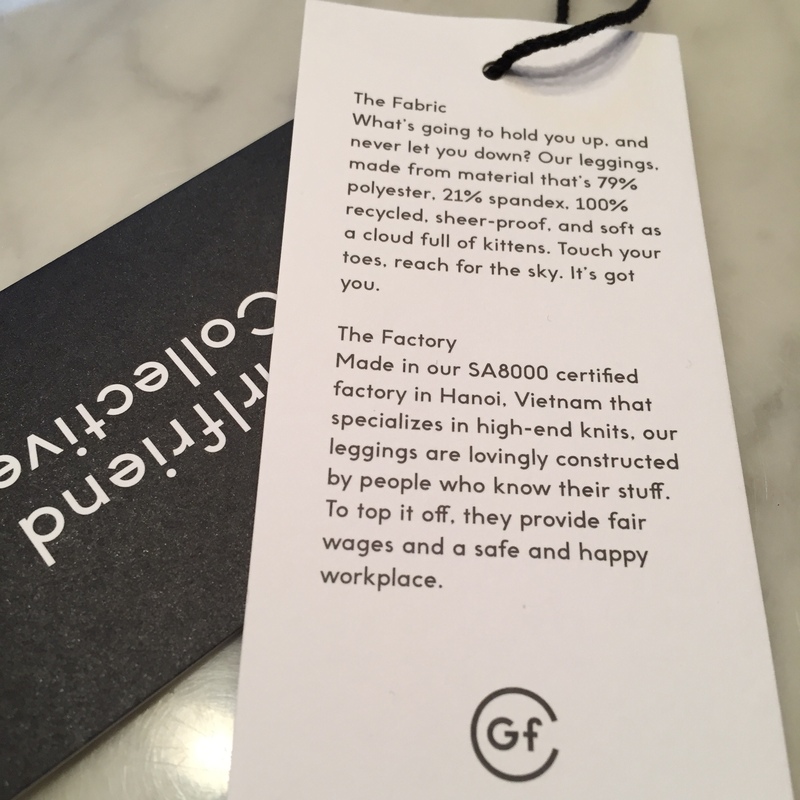 The fabric is reportedly made from recycled plastic bottles, and it’s incredibly soft. These are also high-rise leggings with a smooth waistband, which makes them ideal for squishing away any signs of muffin top. They’re really thick and opaque, which of course is critical for avoiding the dreaded Lululemon see-through effect. The seams are also flat and not itchy in the least. The fit is tight and would be good for working out, although I don’t think these would be ideal for long runs. For one thing, they don’t have any pockets and the compression-style is flattering but may not be the most comfortable – or breathable – at mile 22. Where I do think these would shine is for travel. To be clear, though, leggings are not pants. Let me repeat: leggings are not pants. I see this terrible fashion faux pas ALL THE TIME and it still makes me crazy. These are high quality leggings, but you still should wear them as a layer and keep your assets covered. I digress. I think they would be perfect and highly versatile for multiple travel looks, including layered with a tunic and boots or worn under a dress, especially to keep warm in winter travel. Since these are quick-dry, they’d also be good to multitask in gym workouts and wash in the hotel sink. Yes, I am standing on a tulip chair. Yes, there is also an American Girl doll highchair attached to our table. Yes, I am terrible at taking mirror selfies. No, I would absolutely not wear this outfit in public. Overall, I think these leggings are a steal at $20. Girlfriend Collective’s site says that they eventually will retail for about $70. Would I pay $70? Honestly, probably not, but I think if I could snag another pair at $20 I would jump at the chance.